It's Not Work, It's Gardening! : Look up: spring is here! These images capture only a portion of what I saw... maybe a third? So imagine everything here tripled and you'd get a better sense of the scale. As I approached the flock (is that the right word? It doesn't convey the enormity of the thing) I was in awe, and only after I had passed partially under it did I realize that my phone camera would probably be useful here. 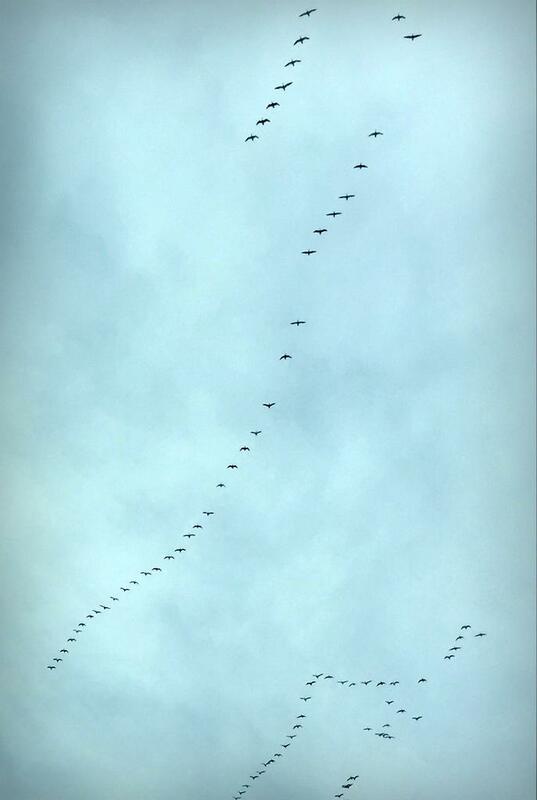 They were heading west, to what destination I wonder? 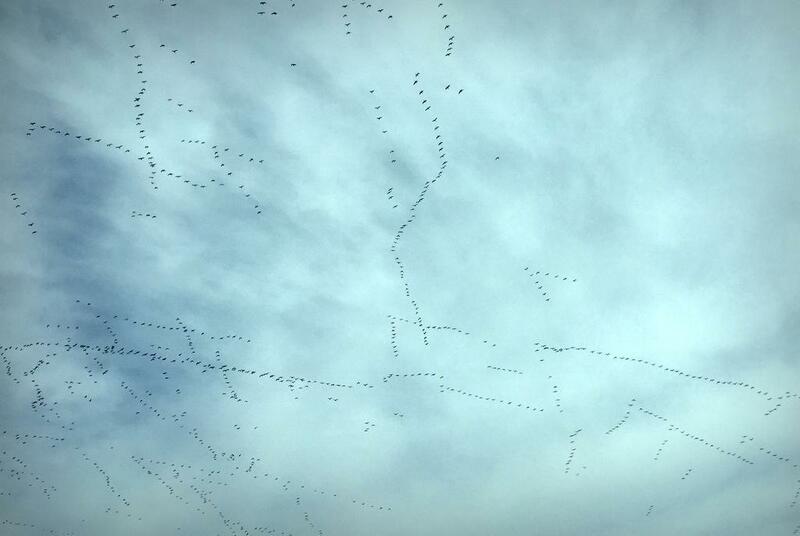 I have seen large bird populations before (Sandhill Cranes in Nebraska) but those were on the ground, not in the air. If I had had my DSLR with me I would have pulled over to get some better photos. Maybe I should have anyway, just so I could have enjoyed this sight for a while longer. Wow! 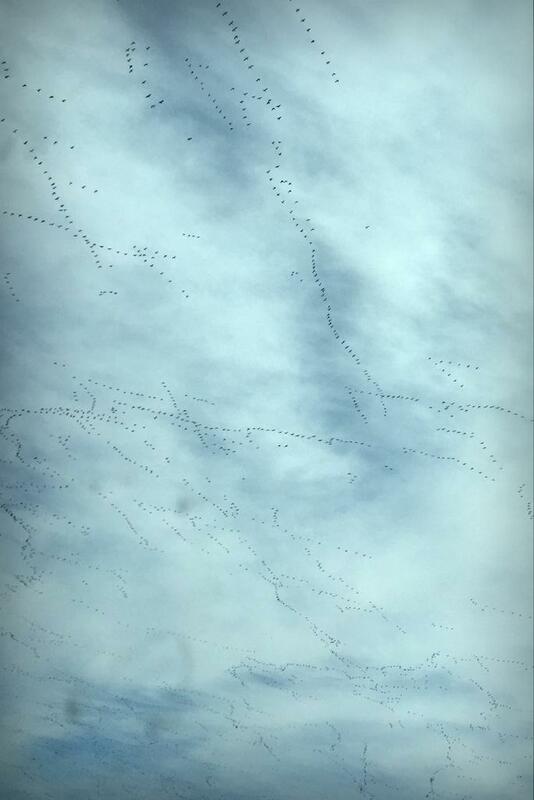 I've seen big flocks but never that many. they remind me of snow geese, white with black tipped wings, and Canada geese, beige with a light belly and darker wing tips. How cool is that? Must have been awesome to have seen it in person! 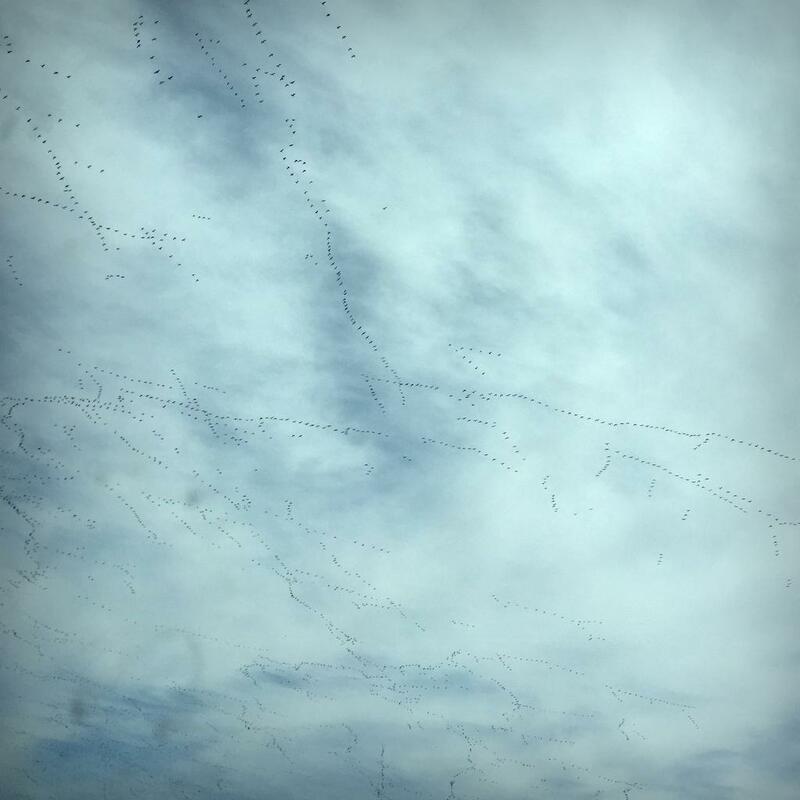 The birds must be right! Spring is near. Pretty amazing sighting...Let us know what you find out as you enquire further. I got to experience something similar the last time I was headed out to Cistus Nursery on Sauvie Island. 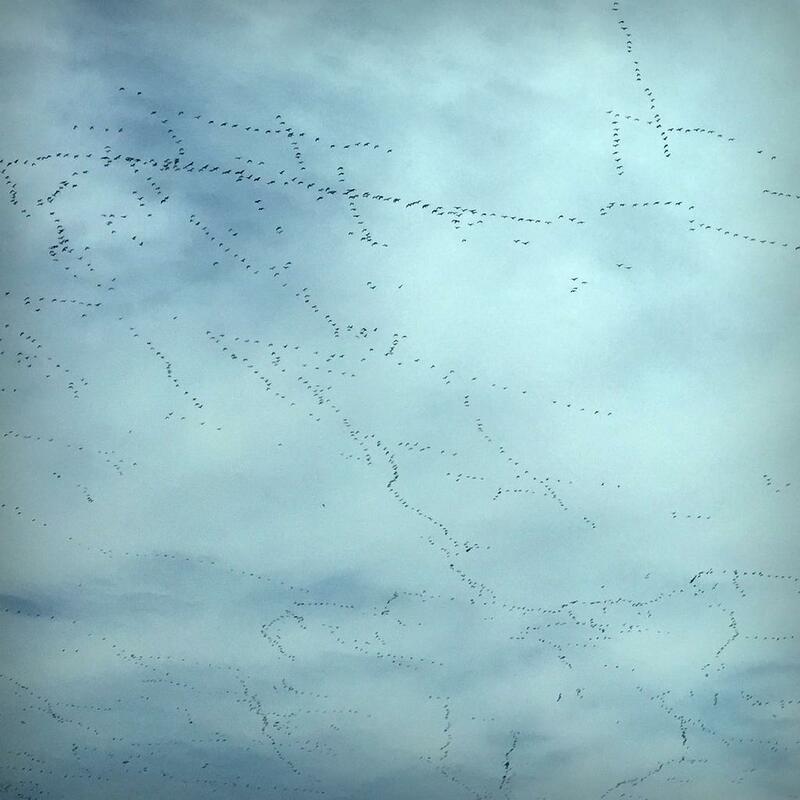 It was amazing, I also should have pulled over as I couldn't take my eyes off the hundreds of birds in the sky. Good job on getting photos.